The success of Apple iPod has attracted many designers and manufacturers to take advantage of the business opportunity presented in producing various accessories for this portable media player. The Japanese companies Buffalo and Kokuyo have partnered together to release a pretty interesting iPod mini speaker which probably will spark gamers’ interest. This tiny gadget, an OTOKORO (model: BSSP05I) iPod speaker is designed to resemble a small cubical dice with each of the six faces marked with number. This dice speaker measures W28xD28xH28mm in dimension and weighs 14g. It offers 1W output and 160Hz-20kHz frequency response. The Otokoro iPod mini-dice speaker does not require batteries. Users can just insert their iPod onto the dock connector to enjoy their music. 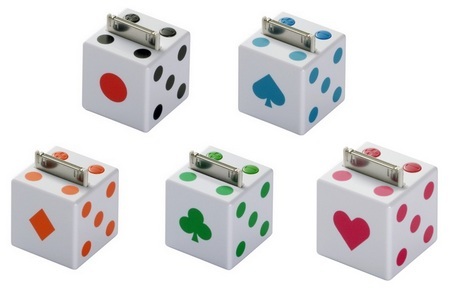 This mini dice speaker also allows users to adjust the volume by pressing the top buttons near the dock. Most people would have a favorite color which they believe to be their lucky color. Knowing this, Buffalo-Kokuyo has offered dices of different colors: black, green, pink, orange and blue, to appeal to different individuals. 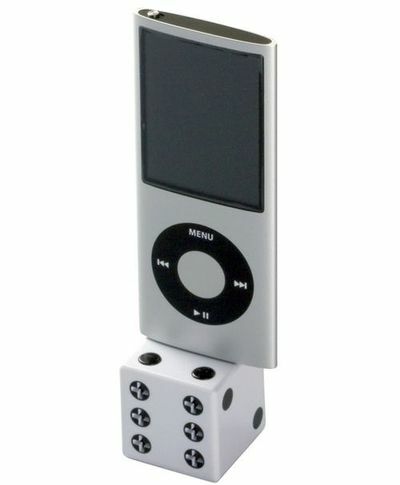 This dice speaker is priced at 2660 yen or $28 each and it is compatible with the iPod classic, iPod mini, iPod 4G and 5G, iPod touch, and all iPod nano generations.